The Opelika High and Middle school athletic departments were busy with multiple teams playing the week after spring break. Opelika’s soccer teams played American Christian Academy (Montgomery) and Auburn on the road last week. The Lady Bulldogs beat ACA 6-4 Tuesday in Montgomery. Amiya Brown led the offense with four goals. Kaitlyn Goodman and Megan Noon added goals. Goodman, Brown, Ashley Hilyer, Erica Mathews and Abby Noon each recorded an assist. The Opelika boys beat ACA 3-2. The Bulldogs goals were from three different players, Yordy Chavez, Jose Cruz and Caleb Rujana. Omar Perez and Meyers picked up assists. The annual ‘Soccer for a Cure” Soccer games between Auburn and Opelika was last Friday at Duck Samford Stadium. Opelika and Auburn team to raise money for the East Alabama Medical Center Cancer Foundation. The money raised helps local people with cancer travel to and from treatments and many other needs. The two junior varsity teams split, with Opelika’s junior varsity boys losing and girls winning. The Auburn varsity girl team broke a 1-1 tie in the second half, scoring six goals on their way to a 7-1 win. Opelika’s goal came from leading scorer Brown with an assist from Erica Mathews. Opelika’s Osmar Perez scored a game-tying goal late in the boys game, helping his team break a long streak of losses to Auburn. Marshall Meyers set up the game tying goal with an assist. The tie against Auburn was the first in many years, as the Tigers have dominated the series as of late. Both Opelika’s boys and girls teams hosted area foe Russell County Tuesday night. The results were not available at press time. Trinity and Montgomery Academy defeated Opelika’s tennis teams last week. The boy’s and girl’s teams play at Pell City and Oxford on April 8 and 9, respectively. 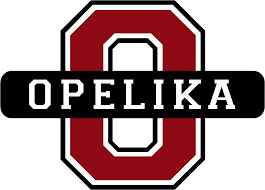 Opelika participated in the “Mississippi High School Invitation” track meet last weekend. The meet featured more than 50 high schools from Mississippi, Tennessee, Arkansas and Alabama. Final standings were not available, but the following Opelika athletes finished in the top-5. Girls – Ashley Jackson placed fourth in the long jump (6-11.75), fourth in triple jump (35-0) and sixth in the high jump. Priscilla Perry placed third in Discus with a throw of 103-2. Boys – Brantan Barnett won the 100-meter sprint with a time of 10.84 seconds. The Stinson brothers (Jaylen and Jerrell) combined for several points: Jaylen was fourth in the 100 meters, Jerrell was fifth. Jarrell placed third in the 200 meters, Jaylen was fourth. Jarrell won the 400-meter dash, Jaylen was third. Danial Kindred was fifth in the 110-meter hurdles. Eric Watts won the long jump (21-10), Ladamien Rowell placed second in triple jump and the 4 X 400 relay team finished. Opelika track and field team will host the “Mike Spain Invitational” April 20 at the Sam Mason Track on the school’s campus. Opelika’s softball team beat Dadeville 3-0 last week at West Ridge Park, home of the Lady Bulldogs. “Makai (Gagliano) pitched well, a stellar performance. Kayla (Fourtenbary) and Chelsea (Carr) did a nice job offensively,” said Opelika coach Tina Deese. Fourtenbary hit a home run and Carr finished 3-for-3. Auburn visited West Ridge last Thursday and walked away with a 13-3 win. Opelika recorded five hits, with Makai Gagliano going 2-for-3 at the plate, and Chelsea Carr, Dreamer Denmark, Avery Davis and Takhia Mims added a hit apiece. The OMS Lady Bulldog softball team improved their record to 20-4 after a 6-0 win over Auburn. McKay Yountz continues to dominate in the circle. She struck out 12 Auburn batters to earn the win. Offensively, Nylen Thomas, KD Lee, Ava Parker and Memoree Lyles all had hits during the game. The Opelika baseball team (7-21, 1-1 in area play) split a pair of area games with Benjamin Russell last week, but lost the third game of the series. They beat Opelika 7-4 at Bulldog Park. The Wildcats scored three runs in the last two innings to earn the win. Brayden Thomas recorded two hits for the Bulldogs while teammates Micah Christian, Colten Dunson, Kory McCoy and Brody Davis each added hits. The Bulldogs travelled to Alexander City for two games last Thursday. In game one, Opelika beat the Wildcats 5-2 in eight innings. Christian earned the win, pitching 7.2 innings, allowing one earned run with two strikeouts. Andrew Parr relieved Christian, recording the final out. Parr led at the plate with three hits and one RBI. Julliun Duke added two hits and McCoy added a single. Opelika lost the second game of the doubleheader 3-0. Parr pitched 4.1 innings, allowing only two earned runs. The Bulldogs scattered three hits. Opelika’s 2019 football schedule features nine games, six home games and three road games. The Bulldogs will open the season Aug. 22 against Calloway at Bulldog Stadium. Auburn will pay a visit to Bulldog Stadium on Aug. 30. The first road game will be Sept. 6 at Selma (R), Sept. 13 v. Wetumpka, Sept. 20 at Central-Phenix City, Sept. 27 open, Oct. 3 v. Benjamin Russell, Oct. 11 v. Calera, Oct. 18 at Stanhope Elmore, Oct. 25 v. Vigor and Nov. 1, open. Nov. 8 will be the first round of the AHSAA playoffs. 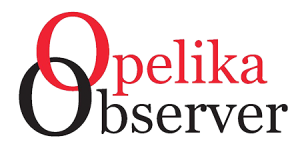 Opelika Dixie Boys Baseball continues registration. Anyone 13-15 years old interested in playing baseball can register at the Opelika Sportsplex. Dixie Boys Baseball offers summer baseball for 13-15 year olds. Cost is $45 for Opelika residents or $50 outside Opelika. All players will be on a team, the jersey and cap is included in your registration fee.